Spring & summer projects. Details TBA. 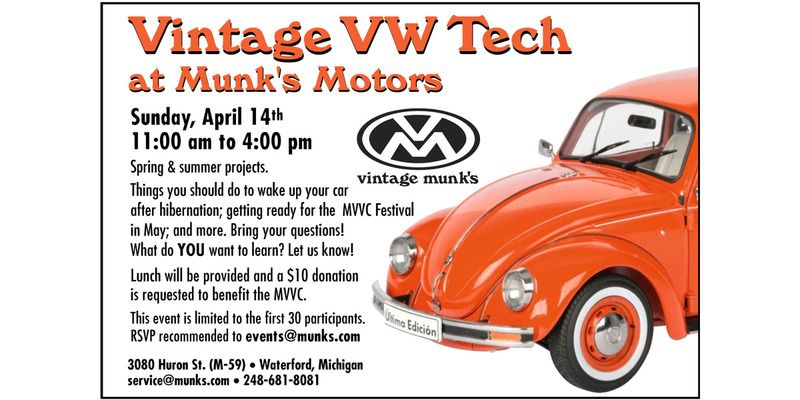 Things you should do to wake up your car after hibernation; getting ready for the MVVC Festival in May; and more. Bring your questions! What do YOU want to learn? Let us know! Lunch will be provided and a $10 donation is requested to benefit the MVVC.